Few things are more joyous than bringing home your new Shih Tzu puppy. However, along with that adorable little ball of fluff comes a lot of responsibility. To help you prepare for the joys and the trials that come with Shih Tzu puppies, do some reading online to learn what you can expect. Is A Shih Tzu Right for You? Most people are drawn to the Shih Tzu breed due to their precious faces and affectionate nature. 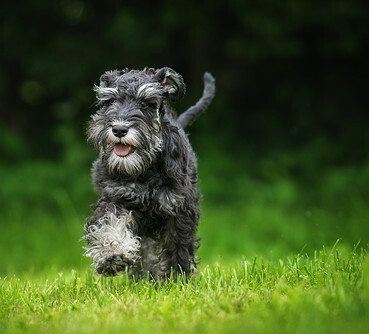 They seem to stay puppies all their lives, keeping a playful nature and small stature. There are a few points to consider before becoming completely smitten with this breed, however. Their loving nature means that they will require companionship. This is not a dog that can be left alone for long periods of time. Bred to be companions to royalty, they love all people and are very unhappy without a friend to keep them company. This unhappiness can become separation anxiety and lead to destructive behavior. That beautiful coat requires a lot of grooming and care. Shih Tzus are long haired dogs. If their hair is not trimmed, it will continue to grow. While this means no shedding or fur all over your furniture, it also means an investment in grooming. If kept in a long coat, daily brushing is recommended. Many people bring their dogs to the groomers for bathing and clipping every six weeks or so. If you plan to do this, you should budget for that expense. Crate Your puppy will need a secure place to call her own. A crate will work perfectly for her new bedroom. Don't choose a crate that is too large for you Shih Tzu puppy, she should be able to just turn around in it. If it's too large, she may choose a corner to potty in, and you want her to learn to go outdoors. 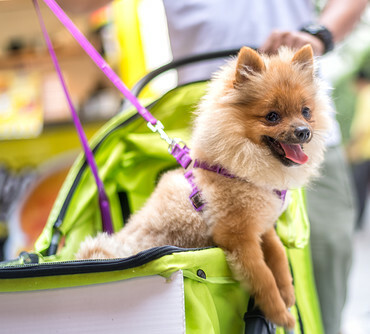 Puppy Food Check with your puppy's breeder to find out what kind of food to purchase. You don't want any tummy troubles during the transition period when your bring your pup home. That special time is challenging enough without adding digestive issues to the mix. Toys Your new puppy will likely have more energy than you know what to do with, so toys to keep her occupied are a must. Tug of war is a favorite with this breed, so make sure you have a few rope toys in the toybox. Top 5 Routes for "Shih Tzu Puppies"
American Kennel Club This is the official American Kennel Club page for the Shih Tzu breed. This page has great information to help you evaluate if a Shih Tzu is the right dog for you as well as information on the breed standard for show dogs. American Shih Tzu Club Dedicated only to the Shih Tzu, this is the home page for the American Shih Tzu Club. Here, you can learn about the breed, get a breeder referral and peruse an education page dedicated to this special dog. Dogtime.com Learn more about the Shih Tzu breed or raising puppies in general. 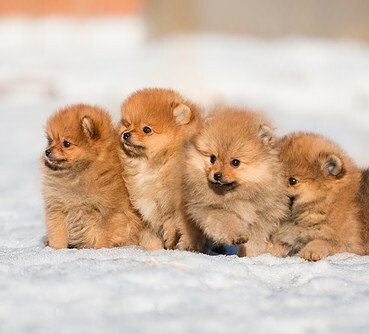 This site is also an excellent source for fun facts and photos of cute puppies. Petfinder A nationwide directory of all shelters with listings for shelter dogs. Individual breed rescues and small dog rescues also list here. If you want to provide a home for a dog that truly needs one, this is the site to check first. PuppyFind Breeders list their available puppies on this page. When looking at listings, pay attention to the reviews for each breeder and the date they began listing on PuppyFind. You will want to seek out a breeder who has been listing with them for a while, not one who recently signed up. Unfortunately, scams involving puppies for sale are common. This site does a good job of weeding those out. As always, buyer beware.